Product code: 100750 Category: Fully Composite. The DG-1000 is the latest release at Dirks-Glaser. It declines in two spans, 18 m which is fully aerobatic and the 20 m high performance version. The design target was to put together all advantages of three current designs on the market the ASK-21, the Duo Discus and the DG-505. 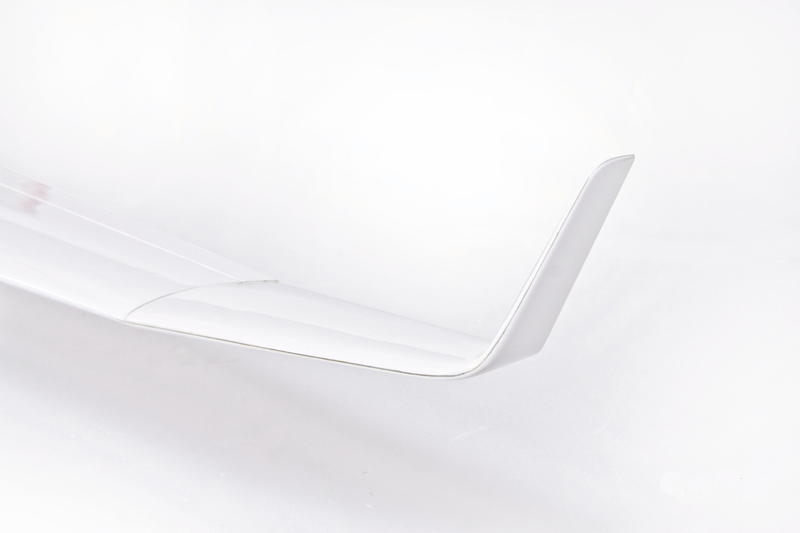 The wing planform may remember the Duo Discus and has a quad taper, which improves the low speed handling. The seats have been rearranged so the rear seat is higher to improve visibility. The main wheel has been moved forward so that the front wheel could be removed to reduce it’s induced drag. 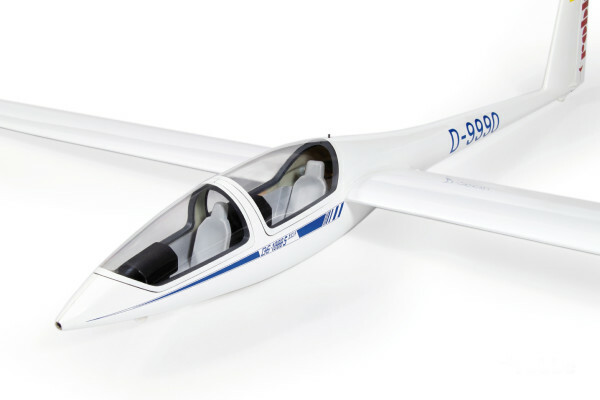 We are very proud to offer here a (~1:5.5) scale reproduction of a very high performance glider. The size of this glider makes it a good candidate to get into scale soaring. This kit feature fully moulded structure with air brakes installed, ready for radio gear installation. Fuselage comes with canopy and retract fitted and tail surfaces are also hollow molded. The neat wing planform will give you a smooth handling, a great LD and exceptional thermal ability. 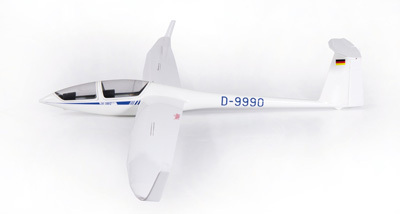 This model is best suited for slope flying and aerotow, but will do well on a good thermal day. 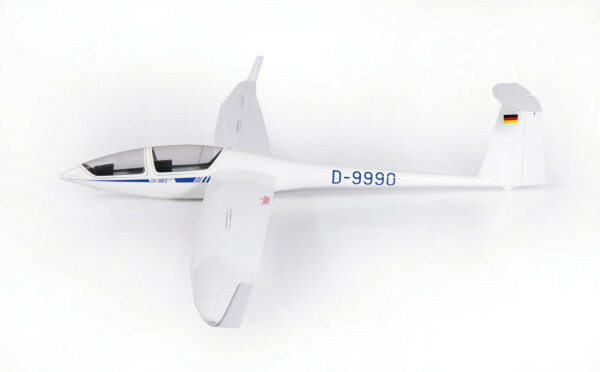 Due to its high aspect ratio, the DG-1000 will cover a lot of ground, but due to it’s low wing loading, it has very smooth handling. 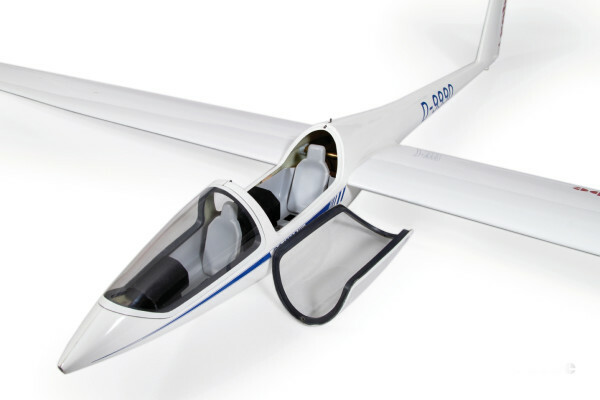 This medium sized 3.7m version of the DG-1000 is just right for getting into large scale soaring, but with a cost that is still “flyable” at the local slope. 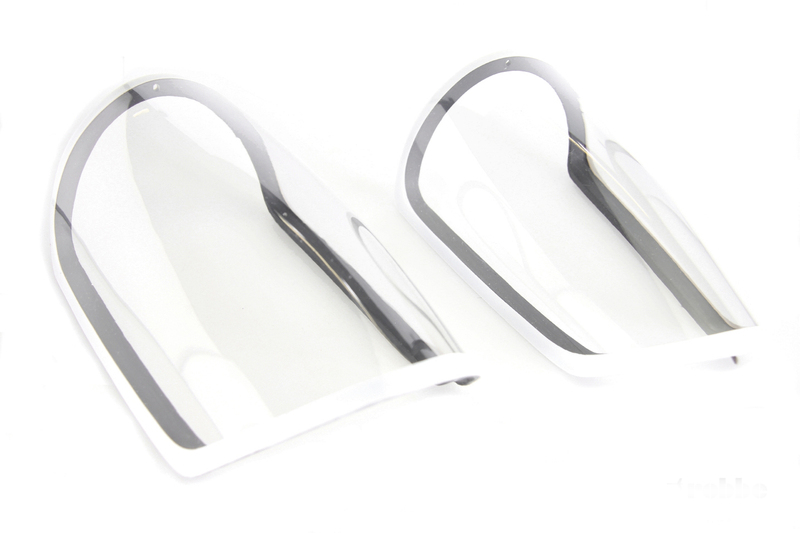 The neat wing planform will give you a smooth handling, a great LD and exceptional thermal ability. The HQ airfoil has very smooth and forgiving flying characteristics. It is easy to do tight circles without tip stalling out. Also easy to winch, it likes it behind a tow plane for thermal duration flying or light aerobatic program.